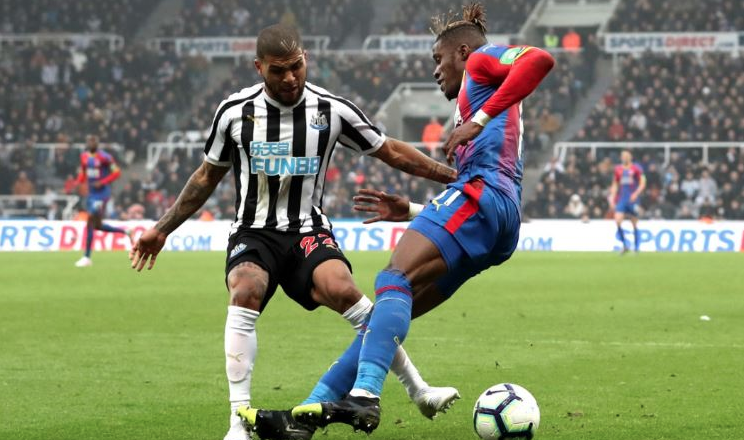 Newcastle 0-1 Crystal Palace: Big chance missed as stupid mistake proves costly – NUFC blog – Newcastle United blog – NUFC Fixtures, News and Forum. A game between two sides looking for that one win to secure survival but one we threw away – with a late Palace winner punishing us in a match we controlled. On another day we’d have won that one, with the big chances falling to us, but failure to kill this Palace side off always gave them that opportunity to hurt us on the counter attack and they did exactly that curtesy of some reckless defending. Why DeAndre Yedlin dives in on Zaha is beyond me. We not only had men over on the cover, but it’s just suicidal to go jumping in on a player like him who doesn’t need a second invitation to go down in the box. Not only is it a defeat in a game where a draw could’ve felt a little frustrating, it’s another week where we fail to move significantly clear of the relegation zone, with the injury to Lejeune looking like another bad one. 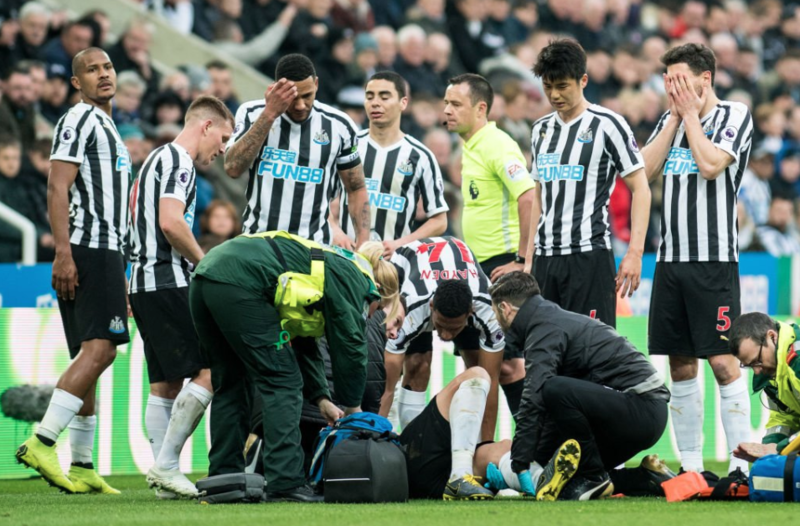 Benitez has confirmed that he heard a ‘click’ in his left knee – he did his right cruciate knee ligament in last summer – so that could be a huge blow. It’s easy to focus on Yedlin’s mistake and be downbeat in defeat, but I thought Hayden and Almiron were very good today. The former was strong and successful in the tackle, winning so many of his midfield battles, while Almiron was bright from start to finish, being direct and inventive on the ball and showing brilliant work ethic and movement off it. How the Chronicle’s Lee Ryder gave Almiron a 5 – the same mark he gave Yedlin in his player ratings piece – is beyond me. Elsewhere Burnley leapfrogged us with a huge 3-1 win at Bournemouth, while Huddersfield’s woes continued as Leicester – our next opponents – ran out 4-1 winners. A bitter blow today, losing a game we could’ve easily won and losing one of our top defenders in the process, but we move on. Is this the NUFC side that could be set to start vs Crystal Palace today? So the stage was set last night for the passing of the torch from the old master to the young pretender. But, as we all know, Messi on a bad day is better than Pogba on his best day. And at 26, the Instagram Footballer is not that young anymore. When is potential going to be fully realized? He got his ticket back to Manchester based upon 1 good game in 3 and that is what he does at Man U as well. He is not a bad player, but is still inconsistent. The archetypal youtube player when you can put together a fantastic highlight clips video but that doesn’t show the multiple times a game that his flicks, dinks and twirls don’t come off. He is a taller Ayoze Perez who was flattered by the Juve defense who made up for his bad games and many shortcomings. He is still a good player though but will never be consistent enough to be the successor to Messi and Ronaldo. Would I have in a world best 11? No. Because you don’t know which Pogba you will get. I would back Arturo Vidal against him every day of the week. Let’s see if I eat these words in the return leg. Nobody on here seems to want to talk about NUFC (or The Chronicle 🙂 ) so I changed the subject. The Journos are desparate for Man U to “Be Great Again” and to have the best player in the world and so get a collective hard-on when Pogba does anything good, even if it is just a dance on Instagram. But he will never be what they want. They need to look at the other side of Manchester and Phil Foden. Even with their money I don’t think Man U will return to the Fergie glory days. You have to get a bit lucky or have a genius manager, and Man U have had neither. Jesse Lindgard and his like is a top 4 PL player but not top 4 in Europe player so they will continue to be on the fringes of success. Long may it continue because their glory hunter fans deserve some time in the RELATIVE wilderness. Have some of the medicine we have had to swallow for all of these years you plastics.